Madhumalati, a woody vine, is known more for its fragrant flowers. But it also bears edible fruits which are eaten Hainan and North East India. 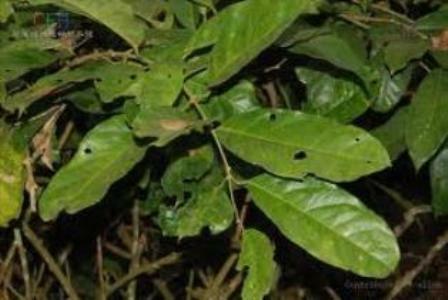 This plant grows from seas level to 1500 m in open forests in China, North East India, Bangladesh, Bhutan, Nepal, Myanmar, Thailand, Laos and Cambodia. 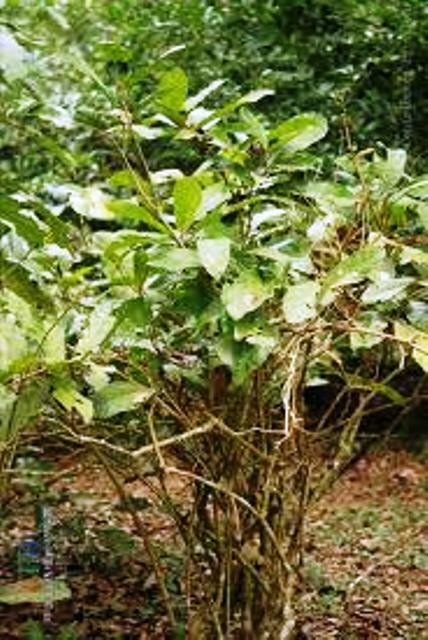 Vines 1-15 m, woody; twigs pale red to pale tan-colored when dry, stout, terete, shortly pubescent, soon glabrescent; internode length unequal, to 5 cm or longer. Petiole (1-)2-3(-5) cm, stout, with bubblelike raised structures, apically with slightly inflated pulvinus; leaf blade elliptic, oblong, or oblong-lanceolate, broadest at middle but sometimes slightly basally or apically, (10-)15-28[-40] × (3.5-)4-10 cm, leathery, both surfaces glabrous, reticulate veins obvious, base cuneate to nearly rounded, apex nearly rounded to ± acuminate and with a 5-12-mm tip. Inflorescences axillary, racemes or sometimes branched or forming panicles, 15-25 cm, at first erect then drooping; axis shortly pubescent to shortly tomentose; bracts linear to ovate, 3-6 mm, trichomes like those on axis. Pedicel 2-4 mm, stout. Receptacle (torus) ca. 3.5 mm in diam., dish-shaped. Sepals (5 or)6, pale yellow, elliptic-oblong, (4-)5-6(-9) × 2-3 mm, erect or spreading, never reflexed, both surfaces densely tomentose, apex acute to obtuse. Androgynophore ca. 2 mm, glabrous; stamens (27-)40 to ca. 80; filaments 4-6(-11) mm, pubescent; anthers 0.5-0.7 mm. Gynophore 7-10 mm, with dense tan pubescence; ovary ellipsoid, 1.7-2.5 mm, glabrous or basally sometimes with trichomes; styles 3(or 4), apex recurved; stigma absent. 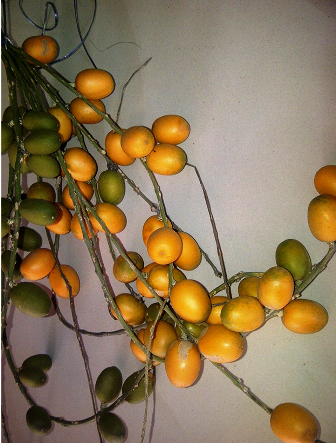 Fruit orange when mature, ellipsoid, 3-5 × 2.5-4 cm, surface with thin yellow verrucose flecks; endocarp thin, woody; fruiting pedicel plus gynophore 0.7-1.3 cm, ca. 5 mm in diam. As stated earlier, madhumalati is known more its fragrant flowers. So the tree is planted in gardens or around homes basically for its flowers. So fruits are just a by product. 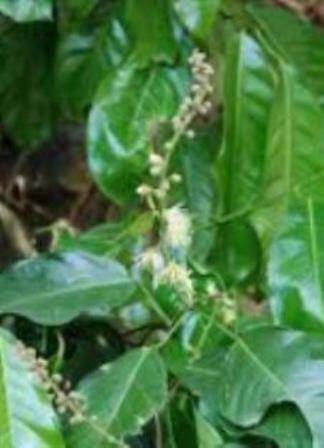 Madhumalati vines are mostly found growing wild. However, it is also sometimes planted in gardens for its flowers. The vines can be propagated from seed as well as cuttings planted during the rainy season.